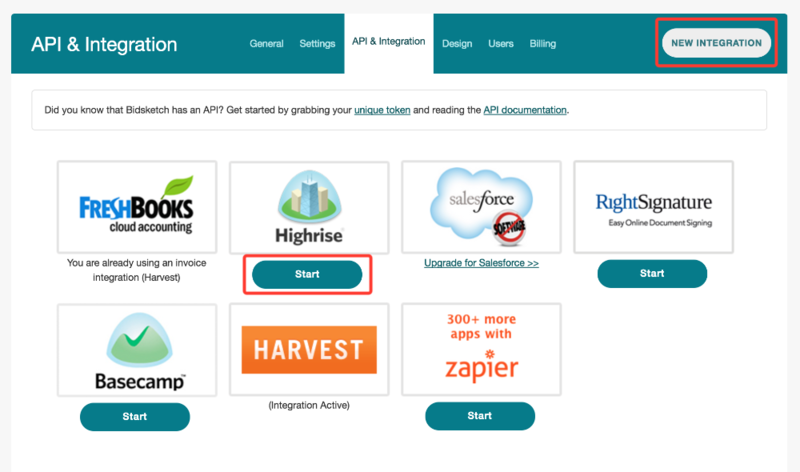 To set up your Highrise integration, first go to your Highrise account and copy the API token. To do this, go to "account & settings" then "my info." Click on the "API token" tab and copy the API token. In Bidsketch, go to your account settings, to the “integration" tab. Click on the “new integration" button. Underneath the Highrise logo click "start" to get started. From here you'll be taken to a verification form. 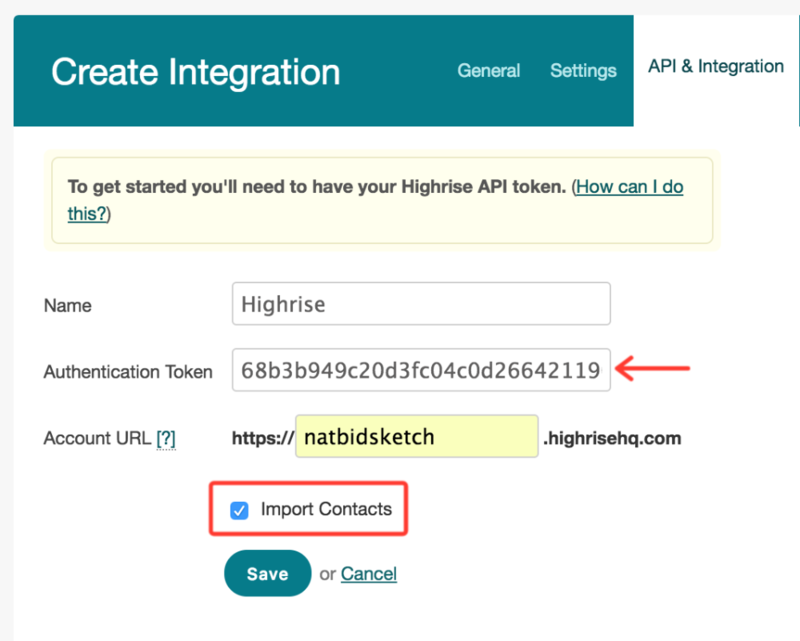 Paste the API token, enter your Highrise URL, and check the "import contacts" box. Click "save" and you're done. You can create a proposal from any of your Highrise deals with just the click of a button. To do this, click on the "Highrise" tab from your main dashboard, and select "create proposal."